When pain gets you down, call us up! If you are looking for emergency dental clinics, chances are you need endodontic intervention by an emergency oral surgeon. 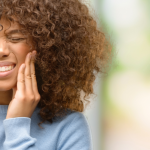 Severe acute mouth pain should not be ignored, especially if you have recently undergone a root canal. That kind of pain is destabilizing, demoralizing, and it’s extremely difficult to function well in these kinds of circumstances. 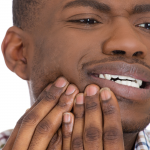 No one has time to throw away on excruciating pain, and that is why you need to be aware of Penn Dental Medicine’s emergency dental clinics. Penn Dental Medicine’s emergency dental clinics specialize in endodontics. Endodontics is a word derived from the greek endo (inside) and odont (tooth). Endodontics is an amazing field of dentistry that requires state-of-the-art technology. Endodontists generally need two extra years of schooling in order to be licensed, because endodontics can be tricky. At any point after an operation, there is the risk of inflammation or infection. This is often seen after root canals. For no particular cause, someone who has undergone a root canal may experience sudden-onset pain. What is the Difference Between Emergency Dental Clinics and an Endodontist? Unlike general practitioners, endodontists operate like emergency dental clinics. 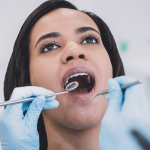 They are often the kind of dentist open on sunday or an after hours dentist, or are on call for any patient who needs an emergency dentist appointment for endodontic retreatment, or for someone who has undergone a traumatic dental injury. 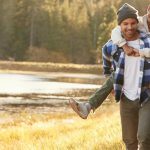 What is the Cost of Visiting an Endodontist? According to Dental Practice Marketing and Management, most endodontists charge 30%-40% more than a general practitioner to perform the same treatments. Of course this is understandable, given the amount of extra training they have received. The question remains: is there any perk to seeing an endodontist that is not available with a general dentist? The benefit of an endodontist is that not only do they have a higher, more specialized level of training, but above all they have access to state-of-the-art technology such as operating microscopes, digital imaging, ultrasonic instrumentation and fiber optics. This technology often makes the difference between a successful root canal or endodontic retreatment, and continued pain. There is, however, another option. Penn Dental Medicine also offers endodontics with emergency dental appointments available. You can call and expect to be seen the same very day for what is often 50%-70% cheaper than the cost of a private practice. A state of the art emergency dental clinic is fully equipped to handle any situation with a minimum of discomfort. If you are experiencing pain, don’t wait. Call now to schedule your emergency dentist appointment, and let Penn Dental Medicine take care of the rest.